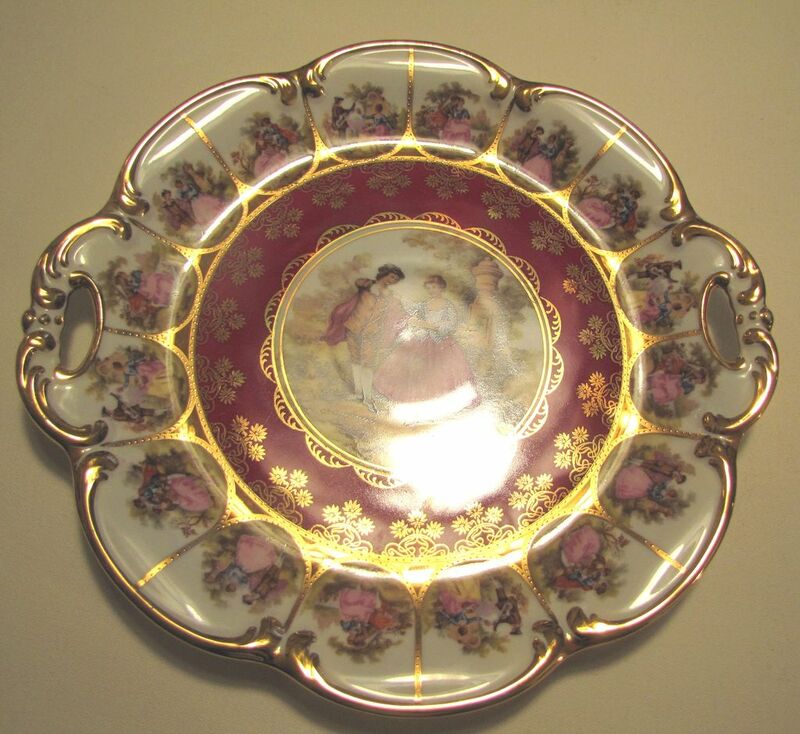 Absolutely gorgeous, old (circa 1921) plate or charger with handles and gold applied through-out. 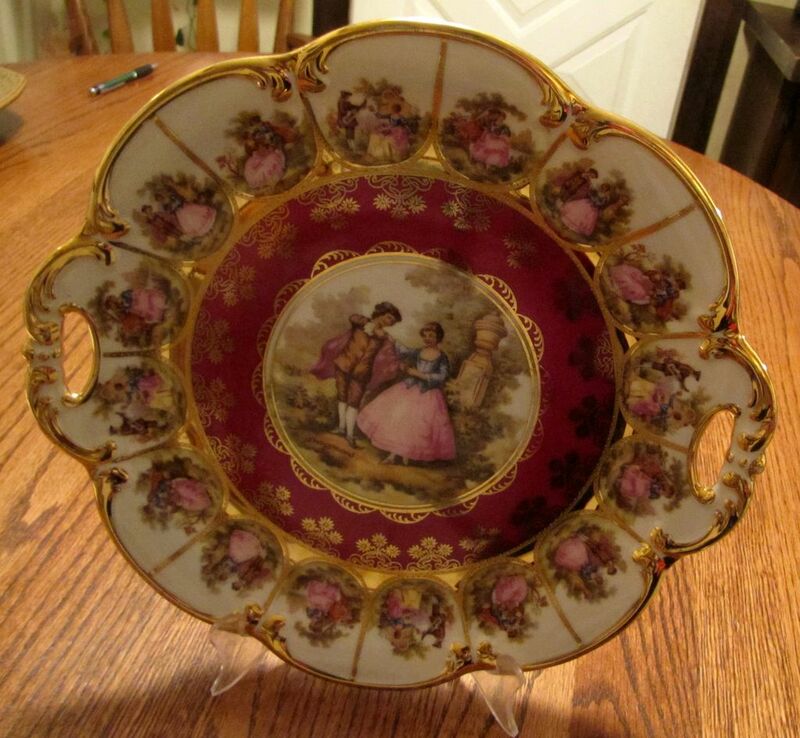 It is signed Frangonard and has romantic sceneries in the center as well as along the outside of the plate. 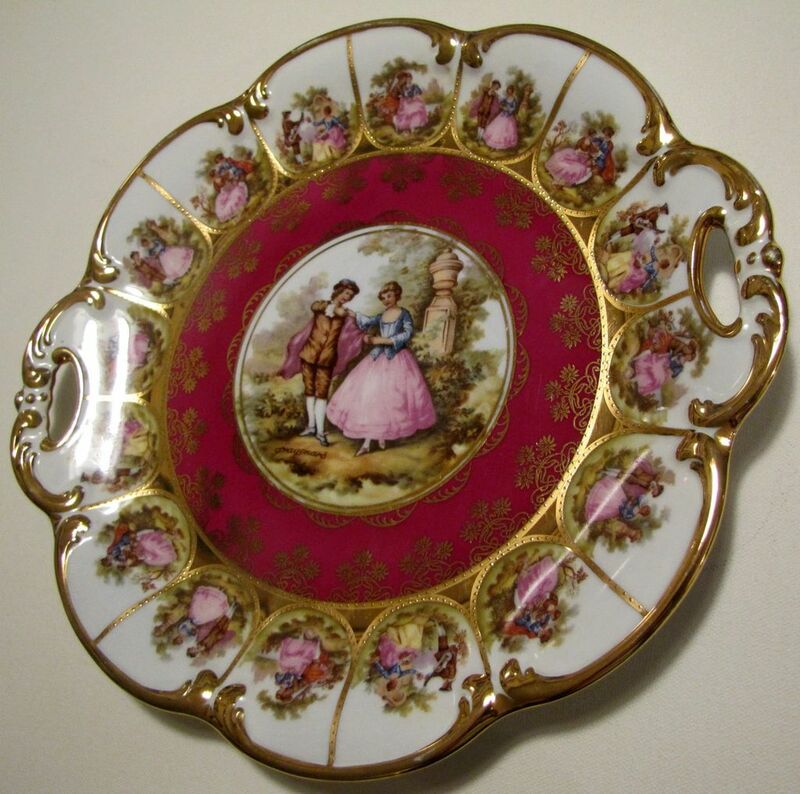 The handled charger measures 11 1/4" in diameter and is 1/2" high and also has a nicely scalloped edge in gold. Some of the decoration includes gold moriage design. 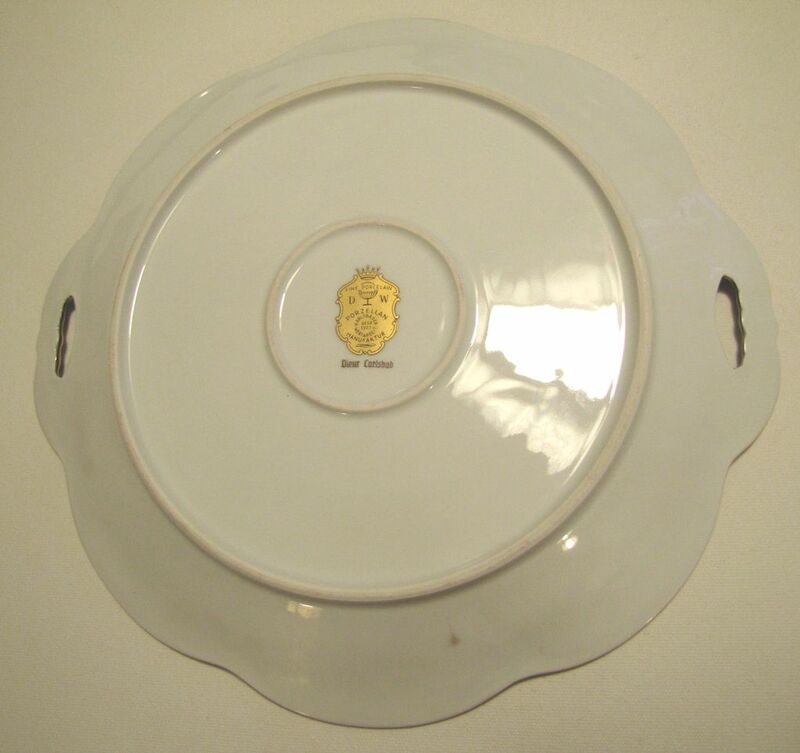 It is rare to find this type of charger plate with the handles. 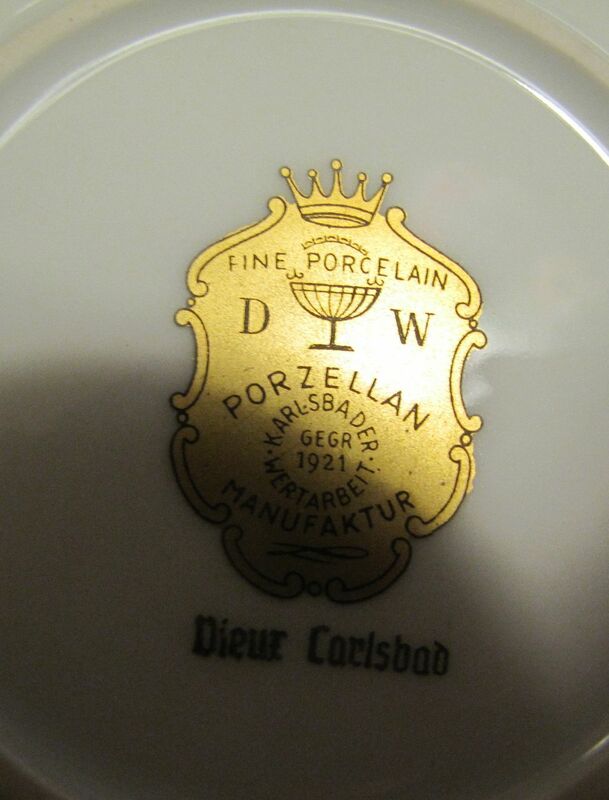 The underside has a large gold crown mark with information on the plate as follows: Antique DW Porzellan Demitasse Cup & Saucer - Karlsbader Wertarbeit GEGR 1921 Fine Porcelain MANUFACTURER: D W Porzellan Manufaktur MATERIAL: Fine Porcelain STYLE: Double handled charger plate COLOR: White & Gold CONDITION: Excellent, no chips, no cracks, used for display only, marking labels are in mint condition COUNTRY & REGION of ORIGIN: Germany, Baden-Württemberg, Karlsruhe, Karlsbad YEAR: 1921 MARKINGS: Crown at the top, "Fine Porcelain" underneath, D to the left and W to the right of a stemmed goblet, "PORZELLAN MANUFAKTUR" above and below a circular"KARLSBADER WERTARBEIT" with "GEGR 1921" inside the circle. 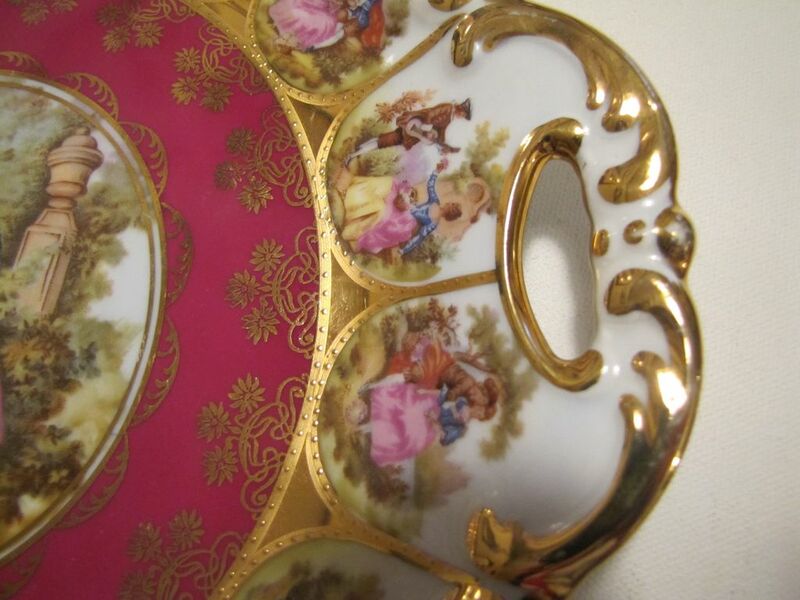 DESIGN DETAIL: Gold paint applied through-out the design. 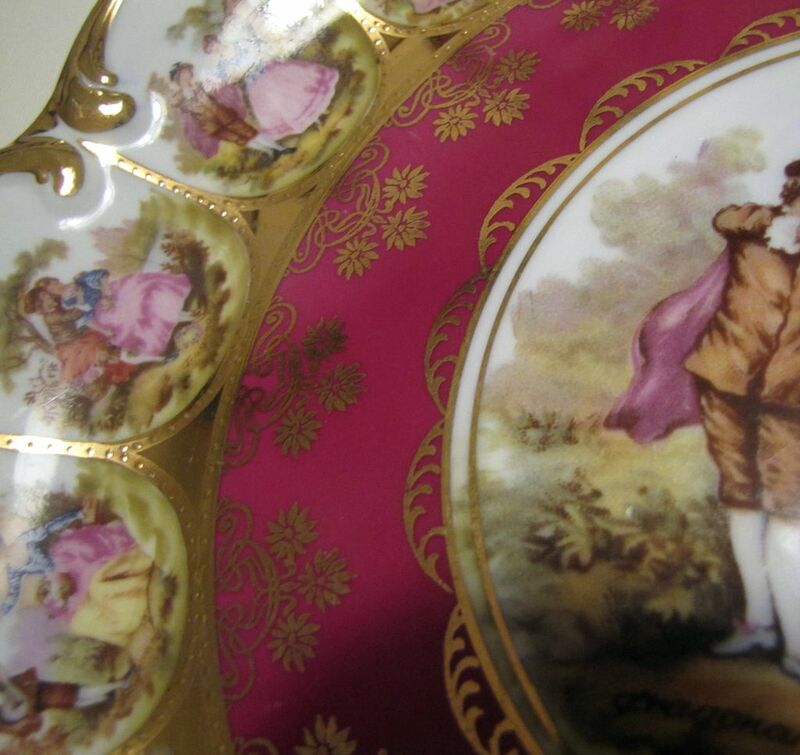 Design signed Fragonard with center romantic scene and a multitude of romantic scenes around edges. Raised moriage in gold applied. DIMENSIONS: 11 1/4" in diameter; 1/2" height.